The Northwest Territories are a vast geographical region with a scattered population, resulting in an area larger than Ontario, and equivalent of Texas and California combined. 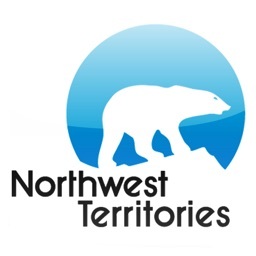 The territorial government of the Northwest Territories decided to centralize licensing, application tracking, and data management. The cold climate of the Northwest Territories forces government to focus on gas, as it used to warm homes. Having untrained people installing gas equipment could be disastrous; in the Northwest Territories, people cannot survive without heating. This is why the Northwest Territories sets strict laws that govern boiler and pressure vessel operating engineers. They must be certified every three years, requiring a ‘Welding Qualification Card’ and boilers and pressure vessels must be registered every year. New boiler and pressure vessel installations require permits. The work done must follow the ‘Boiler & Pressure Vessels code and Standards’ as named in the Act and Regulations, while manufacturers must register and certify their products. AMANDA made boiler and pressure vessel annual registrations efficient for the government. Renewal letters are scheduled at a specified time and payments received automatically. Government inspectors access data from AMANDA on their mobile device to audit and inspect boilers and pressure vessels. Field inspectors have checklists, property information, owner information, past work, and all other information on the inspection. After the inspection, results are uploaded from any computer. To serve the unique demand of the region, the Northwest Territories selected and implemented AMANDA. AMANDA is a unique tracking and data management system that automates all functions within departments such as planning, building, inspections, bylaw enforcement, prosecutions, fires, and others. AMANDA was launched on April 1, 1999 for the Northwest Territories’ Public Works & Services Electrical/ Mechanical Safety Group. Permit applications for elevators, boilers, pressure vessels, and electrical installations are recorded using AMANDA. AMANDA is also used to administer licenses to electrical workers, gas fitters, welders and operating engineers. Welders require a Welding Qualification Card. The work done needs to follow the Boiler and Pressure Vessels Codes and Standards. Manufacturers must register and certify their products. Every piece of information from the school attended, certifications, past work done, permits and photos is kept in the AMANDA database. AMANDA sends renewal letters, prints invoices, collects fees, and issues receipts on renewal. AMANDA lets clerks and field staff become more efficient. Boiler and pressure vessel annual registration letters are scheduled for a specified time. Government inspectors access data from AMANDA on their mobile device to audit and inspect boilers and pressure vessels. Field inspectors have checklists, property information, owner information, past work, and all other information on the inspection. After the inspection, results are uploaded from any computer.